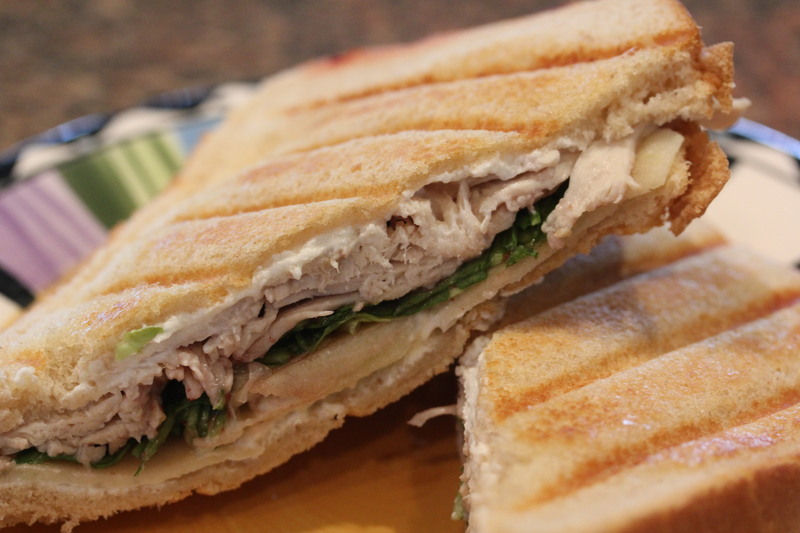 I recently went grocery shopping and lucked out on a number of items that were on sale: deli turkey, organic arugula, granny smith apples and sourdough bread. When I got home, I couldn’t decide whether to make a panini sandwich or a salad and then thought — why not make both, using the exact same ingredients in each dish. So I scrounged up a few more ingredients and wound up with two different but delicious meals, saving money on both! All of these ingredients go together so well. 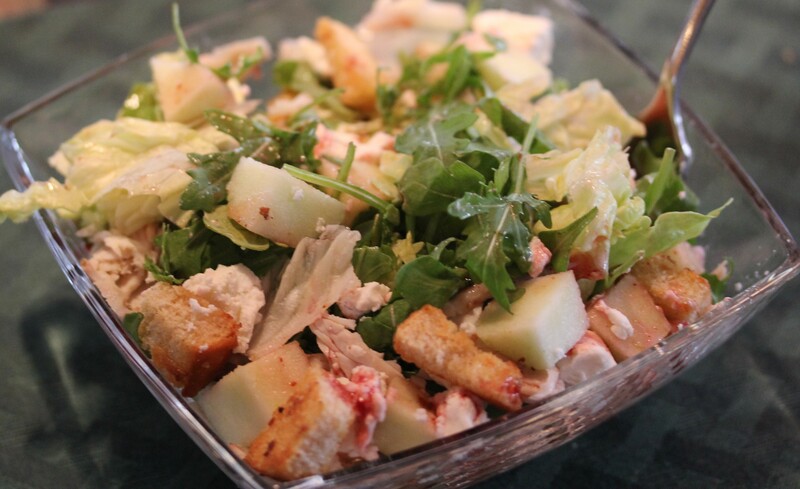 The creamy goat cheese, peppery arugula, tart granny smiths, and the sweetness of the balsamic vinegar mixed with the sour cranberries in the dressing add many different dimensions to both the Panini and the salad. Spread two slices of sourdough bread with the goat cheese. 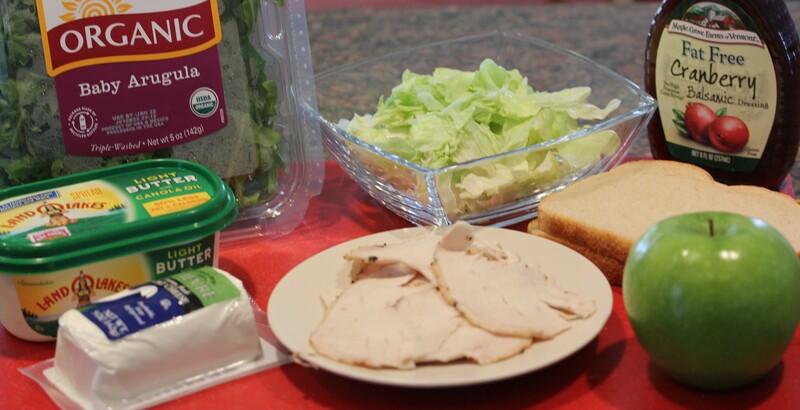 On one slice of the bread, add some turkey slices, a handful of arugula, some iceberg lettuce and drizzle it with the salad dressing. On the other slice of bread, add 3 or 4 slices of the apple. 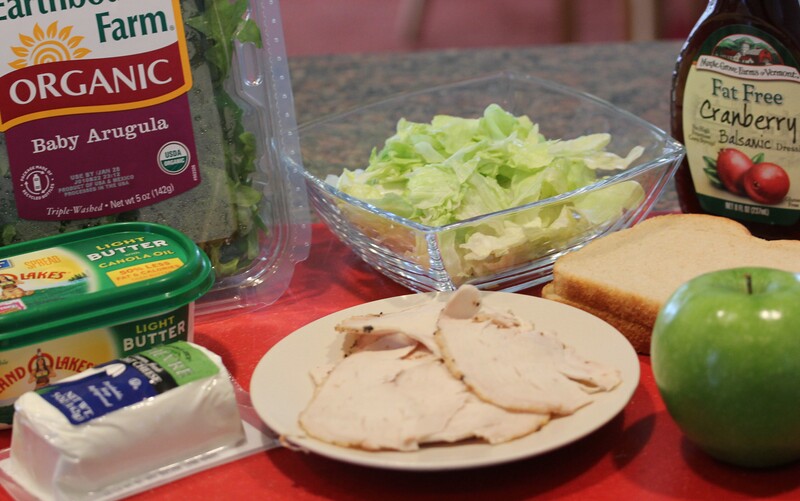 Put together the sandwich, and spread one side with butter. 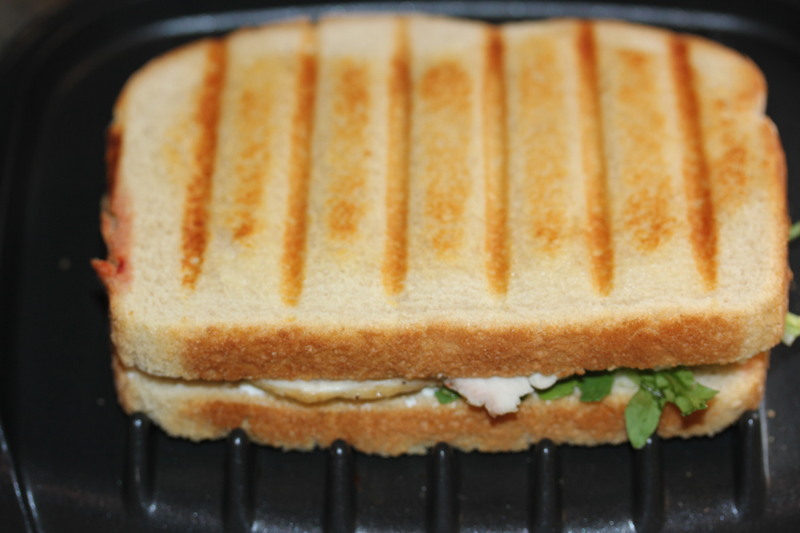 Put the butter side of the sandwich down on your Panini press (I use my old but reliable George Foreman grill, and a plain old skillet will work, too) and butter the other side of the bread. 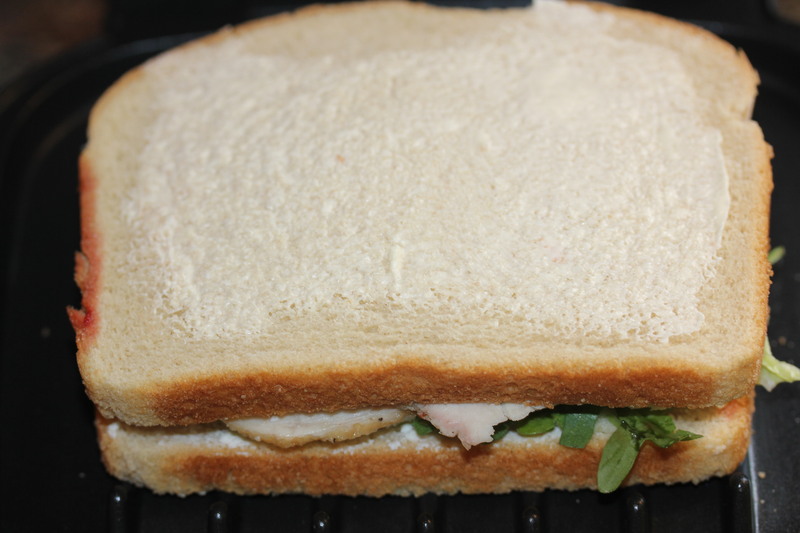 Close the sandwich maker and cook until the bread is nice and brown on each side. Serve with chips or some fresh fruit. Take a slice of sourdough bread and cut it into bite-sized cubes. In a large skillet, melt the butter over medium heat. Add the bread cubes and sprinkle with salt if desired. 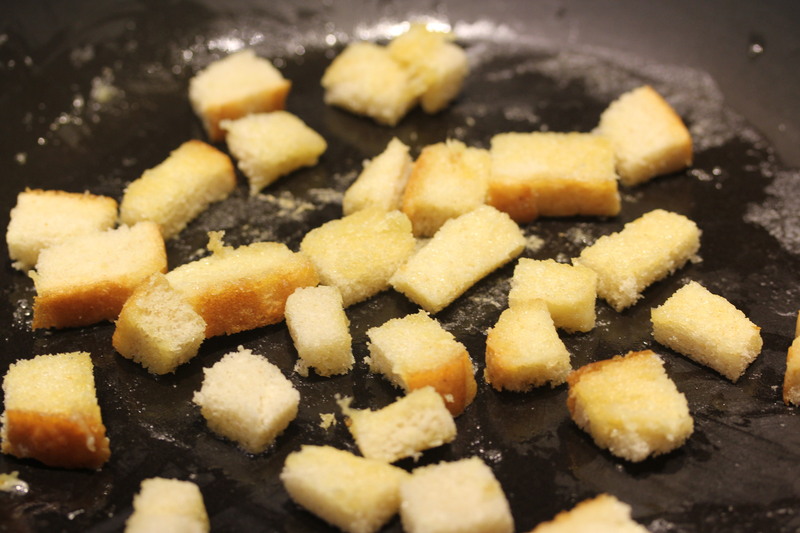 Sauté until the croutons are toasted on both sides. Drain on a paper towel. Serve with some crusty bread and a glass of good white wine. This entry was posted in Meat and Poultry, Recipes and tagged arugula iceberg salad goat cheese turkey apples, arugula recipes, eat drink and be merry, Kel's Cafe salad recipes, Kel's Cafe turkey recipes, Kelley Chisholm recipes, same ingredients different recipes, turkey arugula goat cheese apple panini, turkey panini recipes. Bookmark the permalink.